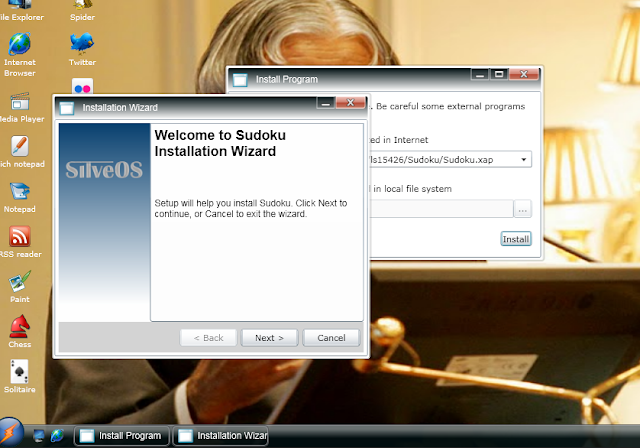 Operating Systems are considered to be the platform to interact with the computer. 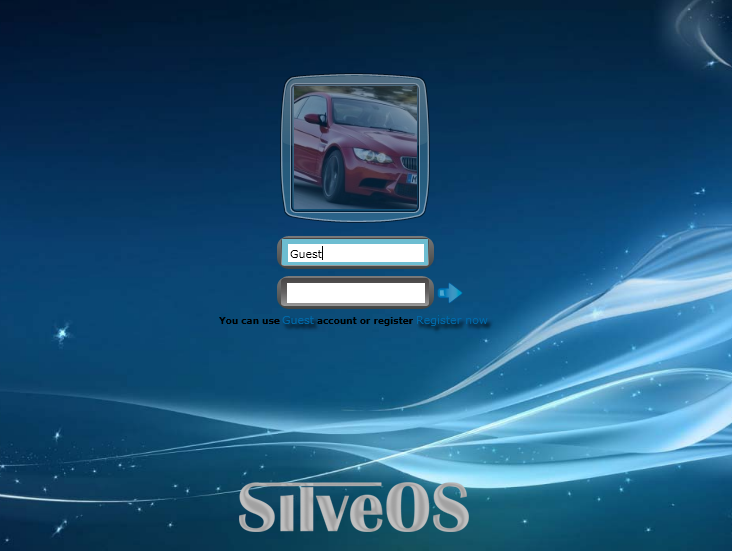 When many giants fight by creating their most wonderful beautiful operating systems, SilveOS team made a superb project called www.silveos.com . And it is basically a complete sliver light operating system which has almost all the basic applications that are necessity such as Rich Notepad, Simple Notepad, Paint, etc... 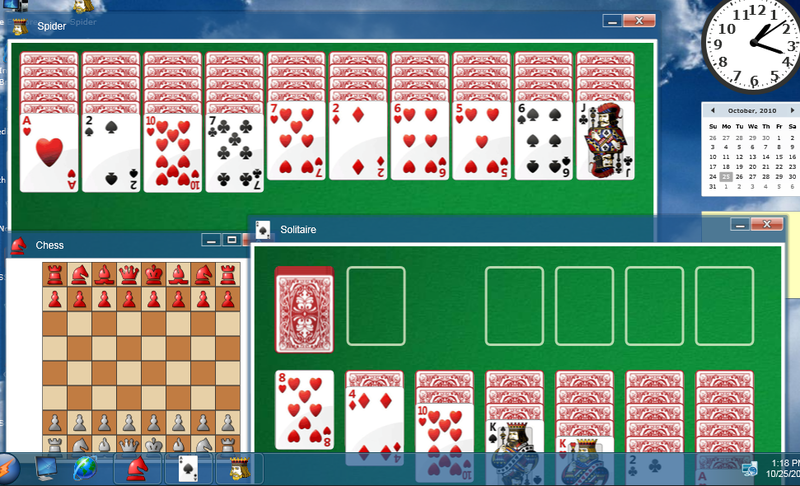 It also gives its hands to the social media and provides some apps such as Twitter App, YouTube Viewer, Flickr Viewer and also a cool RSS Reader and so on... And there are also some other apps like Solitaire, Spider, Chess which will accompany you when you are really bored. 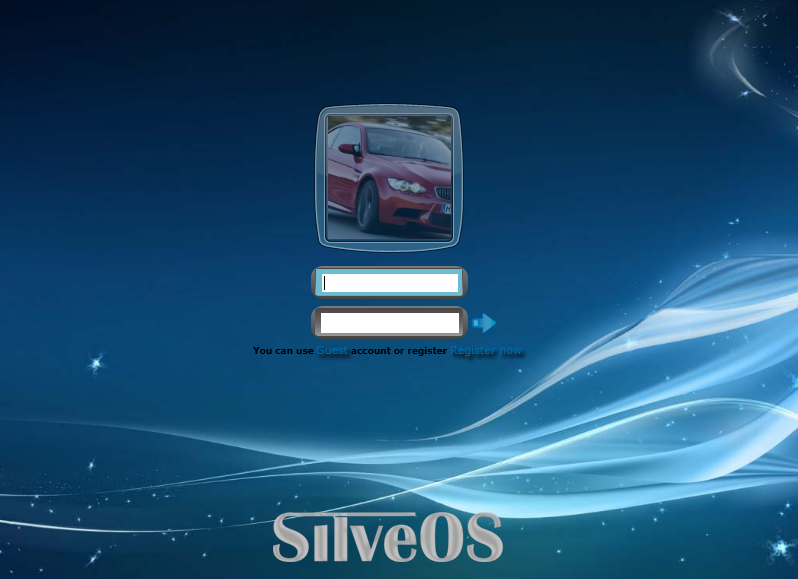 Here are some of the snapshots of the SilveOS operating system. When you browse to www.sliveos.com, automatically the silver light application starts which is actually the booting process of the particular operating system. By default, the user is GUEST and you can simply login into the OS as a guest user and you can try the SliveOS. 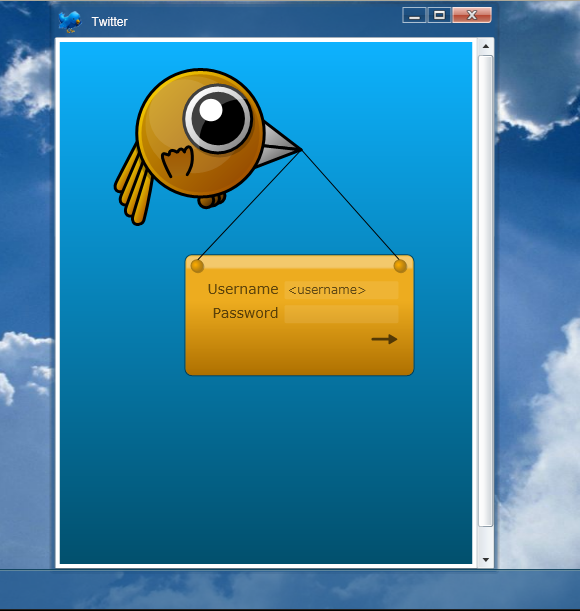 And obviously you can also create an account for yourself and you can simply login using that username and password. 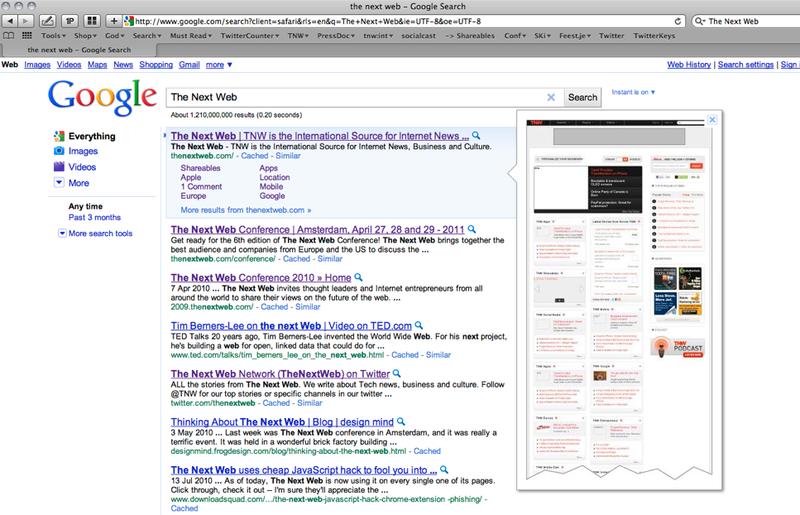 You can register here and after registration it will take you to the OS Desktop. And when you launch the Start Menu, you can see your username. 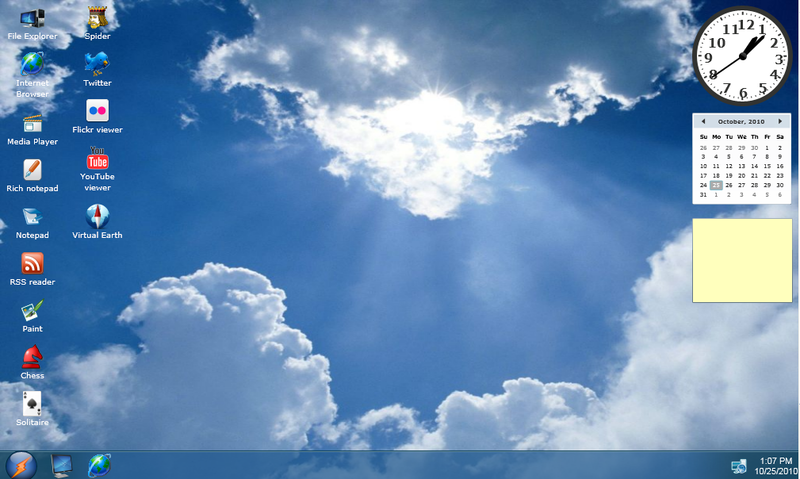 You can see my username in the start menu. You can see my social media handle "InfiVivek" as the username in the start menu above. 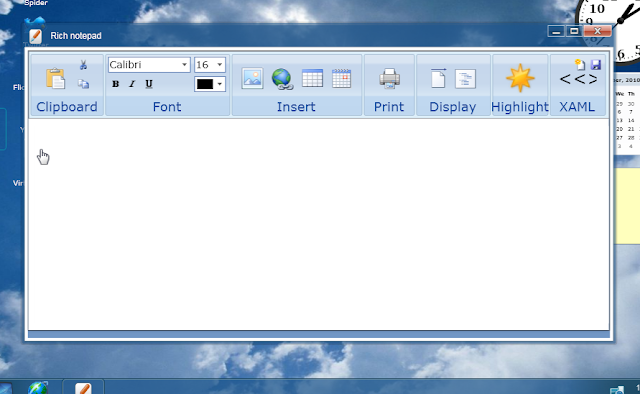 You can see the OS desktop in the essence of Windows 7. 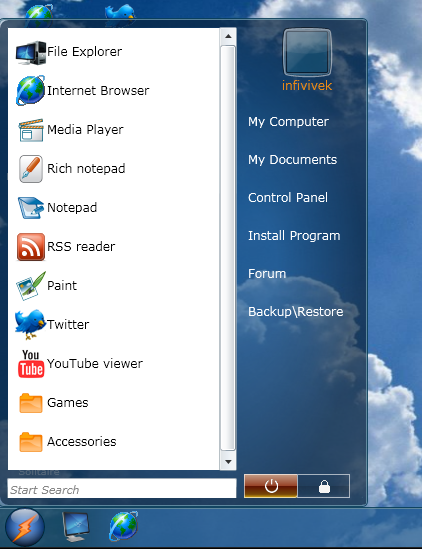 Ans you will also notice the icons of various applications. 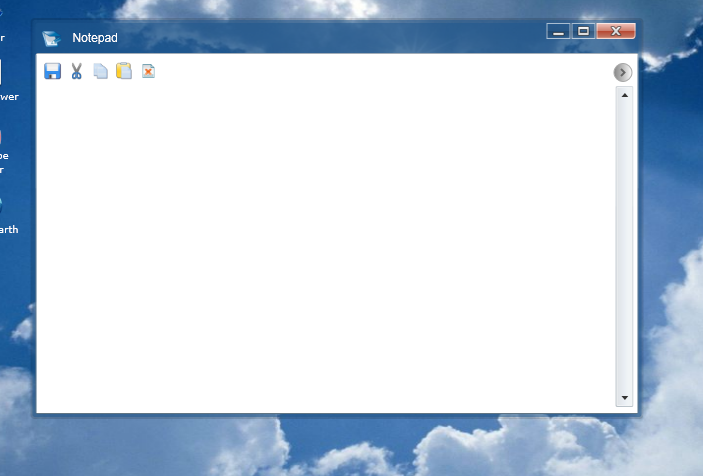 This is the FILE EXPLORER in the SilveOS. And you can see some My Document folders and other stuffs. The below images are some of the basic applications such as text editors and paint applications that are present in the OS. 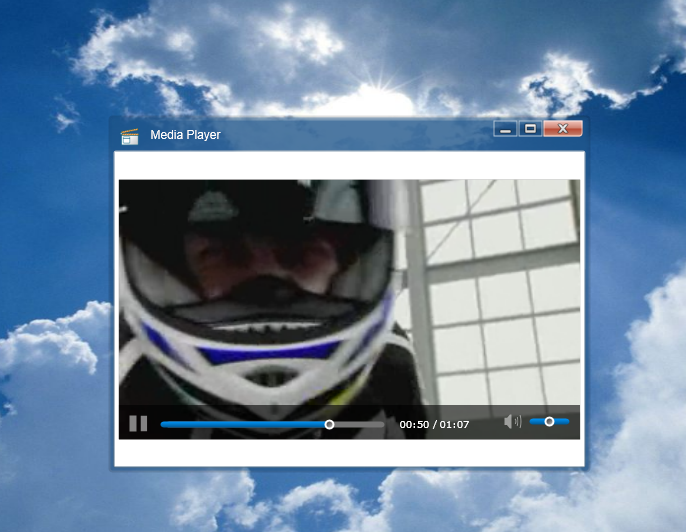 A Media Player from which you can browse audio or video files from your computer and play them. And the pictures below will show some social media applications like Twitter, Flickr, YouTube, and also an RSS reader. 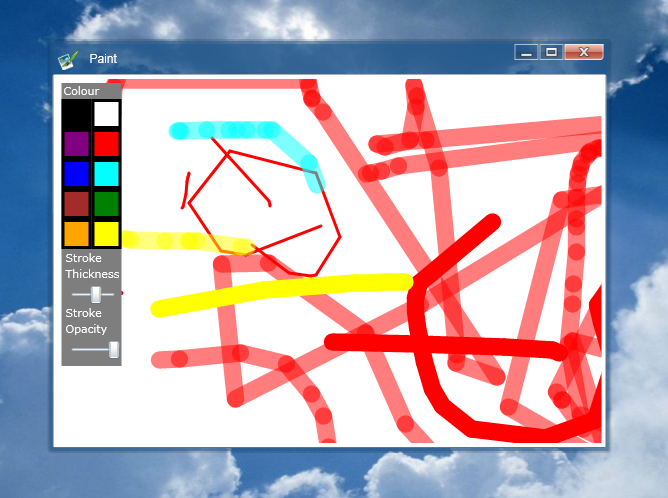 It also has an inbuilt application for Microsoft Virtual Earth. 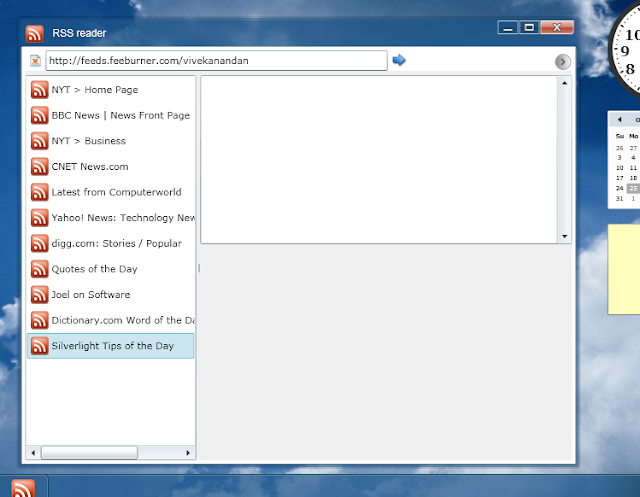 And another important thing about the Slive OS is that it has an inbuilt Internet Browser which looks like below. Will you believe me when i say that you can install your own programs in this operating system. Yes here it is. 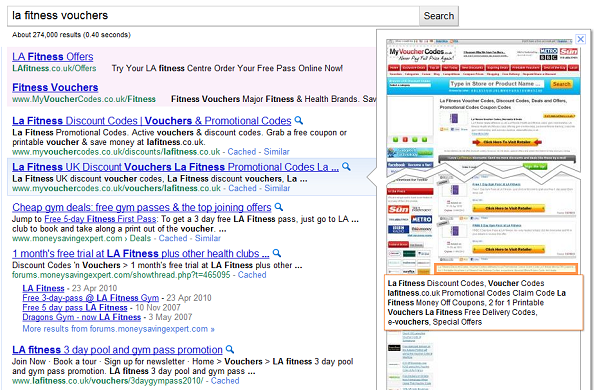 The AD that is getting displayed below the task bar. 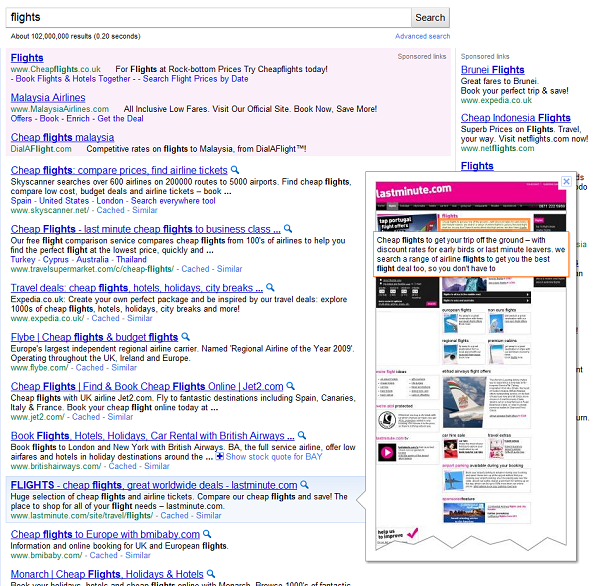 Normally you won't see the AD directly, you need to scroll down the page to see this. Off course they too need some revenue. A Dad-Son's Attempt To Send An iPhone With HD Camera Into Space !!! When some dads and sons spend weekends by flying kites, Luke and Max thought differently !!! The purpose was simple: to film some of that stuff that is beyond us. So they thought they'd attach their equipment to a weather balloon. Once it's up there, they figured, the dearth of atmospheric pressure would ultimately burst it and send it back to Earth. As Geissbuhler and son say in their video: "It would have to survive 100 mph winds, temperatures of 60 degrees below zero, speeds of over a 150 mph, and the high risk of a water landing." Still, the Wright brothers wouldn't have been put off by such uncertainty, and they never had an iPhone with which they could track the route of their flying craft. So father and son did a little low-altitude testing and then wandered off to the spacecraft-launching mecca that is Newburgh, N.Y., and sent their balloon into the sky. Here is the YouTube version of the attempt. The balloon burst after around 70 minutes. But it managed to record 100 minutes of footage. As if it knew its own way home, it came back to Earth 30 miles from where it had launched, which Geissbuhler attributed to "a quick ascent and two differing wind patterns." This is a truly committed father and son partnership, so they searched for their flying machine until they found it "in the dead of night." Yes, it was 50 feet up a tree, but the iPhone's GPS and the camera's external LED light led them to it. One can only wonder what their self-styled "Brooklyn Space Program" might attempt next. Perhaps a manned (and boyyed) space flight? 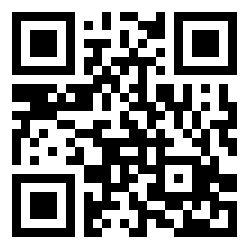 The above one is called the QR code. And now Bit.ly url shortening service introduces this feature. It is not a big task for users to create this code. Copy your long URL and paste in the Shorten with bit.ly text box and click shorten. And now copy the shortened URL and paste that url in another browser and add '.qr' at the end of the short url and press enter to get the QR code for your website. 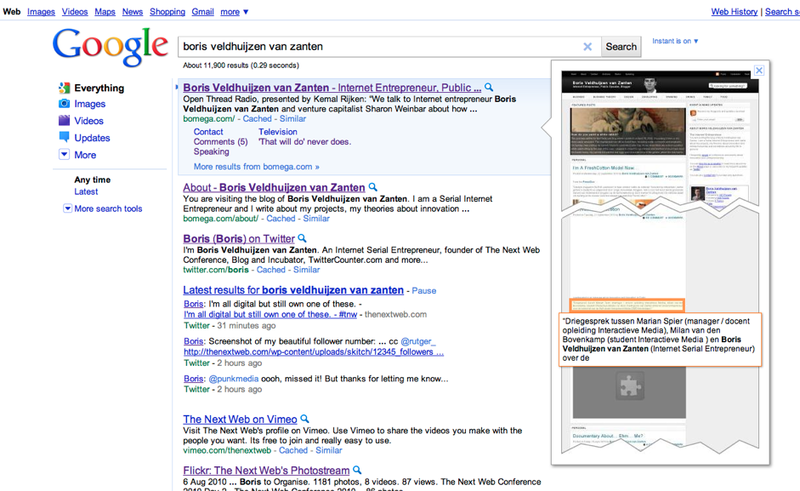 And now you can save them and post them in your blog or send them to your friend's mobile. And To scan the code, you’ll need an app like QR Scanner (iTunes link) for the iPhone and iPod touch, or ShopSavvy for Android devices. 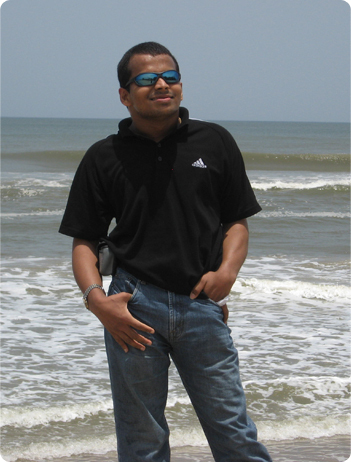 This guy is looking too smart standing in front of a beach with a cooling glass and wearing Adidas T-Shirt. But the story of this guy will make you cry. This guy can move mountains if he wish and this guy can make some remarkable unbelievable things. When i say that this guy can move mountains, there is a little fact to be noted that this guy is not physically fit. 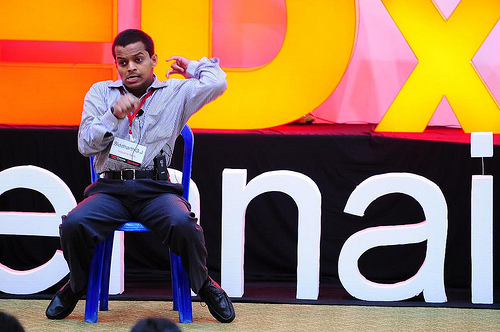 He is a person with cerebral palsy. Now you may ask yourself a question, how this guy can move mountains and do some remarkable things. Yes, he can do that. 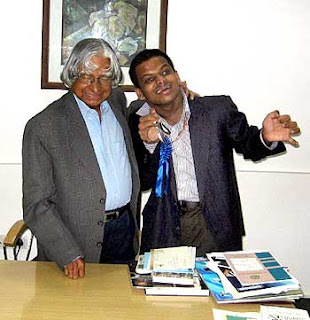 Why can't he when he can claim himself as one of the eminent speakers of TEDxChennai 2010 edition. And off course he is the man who got standing applause first. With this post i have blogged some of the pictures that might make you feel surprised. And now here is the story of this guy. This guy, when born was normal like us. But due to the jaundice, he got this effect. And Siddarth was emphasizing on one issue that this Cerebral Palsy is not a disease. - He completed his 6,7,8 in one half year. 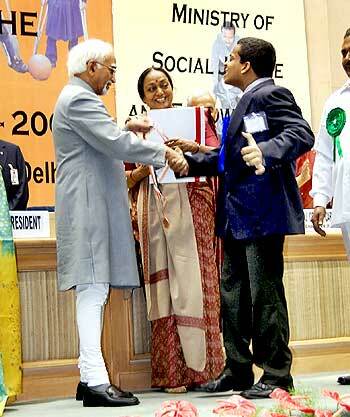 Thanks to teachers who bridge his age gap. Actually we the official bloggers of TEDxChennai occupied the last seats of the IC & SR Auditorium, IIT Madras, where the TEDxChennai was organized. Just before our seats, his father and mother was sitting and they were voluntarily informing us and their neighbors that they are the Siddarth's parents. I found they were really proud hearing his speech. We asked Siddarth's father's name, and he was good enough to give his business card. Off course there was standing applause for his father too. Now at present I am in Chennai, for an important job. 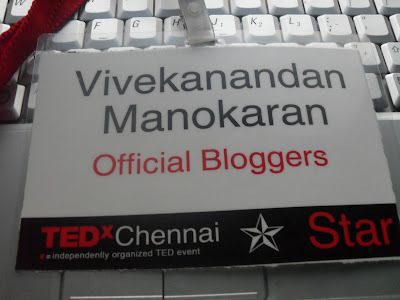 It is something prestigious title for me to say that I am the official blogger of TEDxChennai. 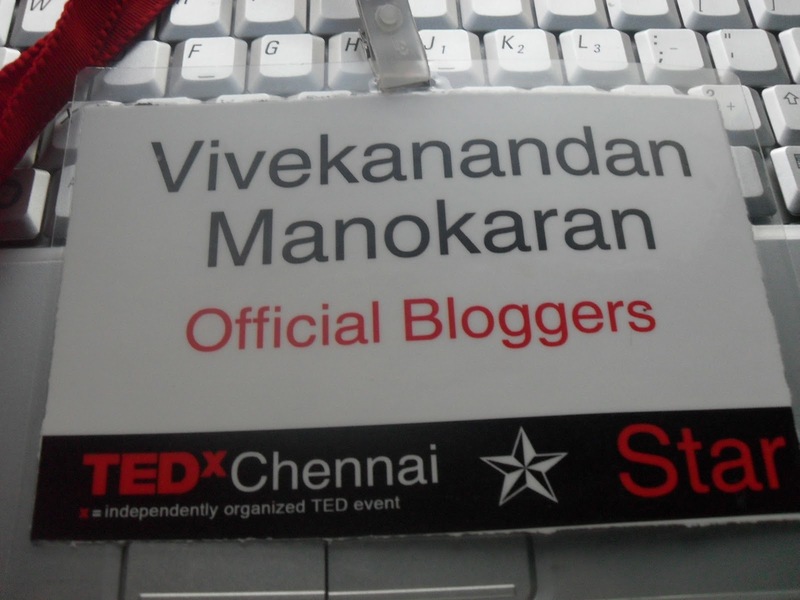 You can see my name and blog url featured in the TEDxChennai website here. 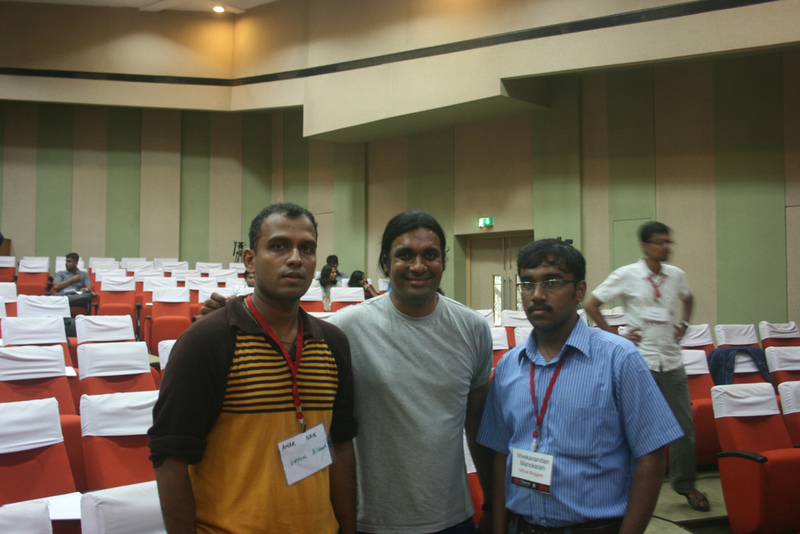 Yes, TEDxChennai is hosted at IC & SR Auditorium, IIT, Madras. 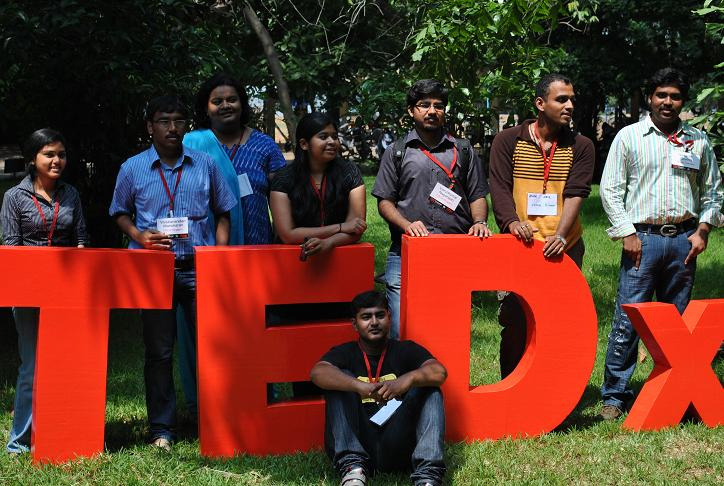 Today the first event was TEDxChennai workshop which is all about how to organize a TEDx event. Today the TEDx experts from various parts of the world, like Lara Stein, Director of TED Licensing, Kiruba Shankar, the Licensee of TEDxChennai, Anusha, the Licensee of TEDxCoimbatore and so many. And happy that I was seriously blogging about their talks sitting behind them. Wonderful day for me today. Met Chinmaye, the play back singer and got a self intro with her. When i first entered the venue, SandeepVarma was kind enough to welcome us in a beautiful way. And after that we official bloggers and twitters got together and made a team introducing ourselves in a better way. We had a superb time there with experts. And when i was trying to catch up with MTS's Data Card network, i went out to get the initial network, HE crossed me. And then i was trying to talk to HIM. 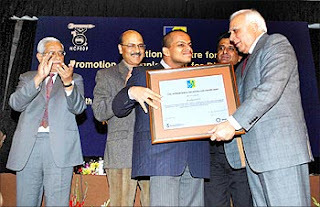 But HE was busy with the speakers who are going to make a TEDTalk tomorrow. And again i went near to HIM. HE smiled at me, and got self introduced to HIM. 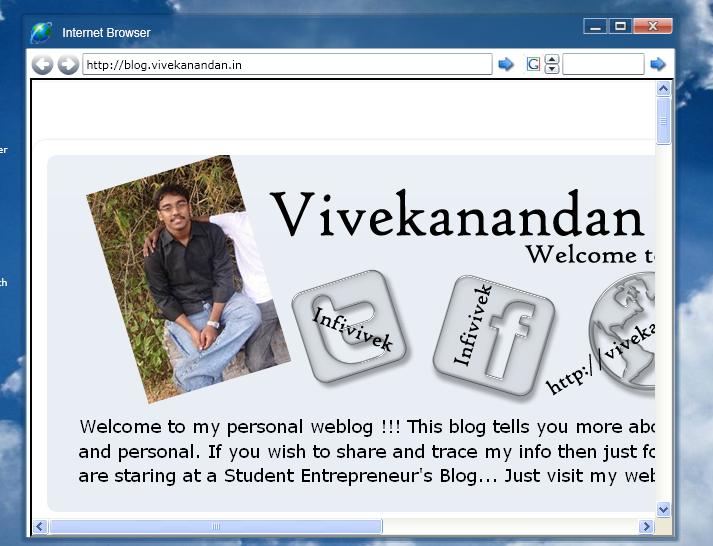 HE confirmed me that i am INFIVIVEK. I was at cloud 9 when he asked me like that. HE is Mr.KIRUBA SHANKAR. Who is the backbone of TEDxChennai. 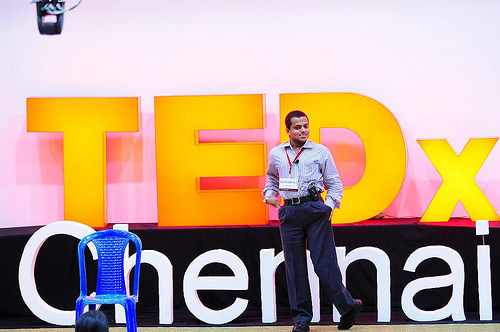 In short and graphically i am going to explain what happened in the TEDxChennai workshop today. 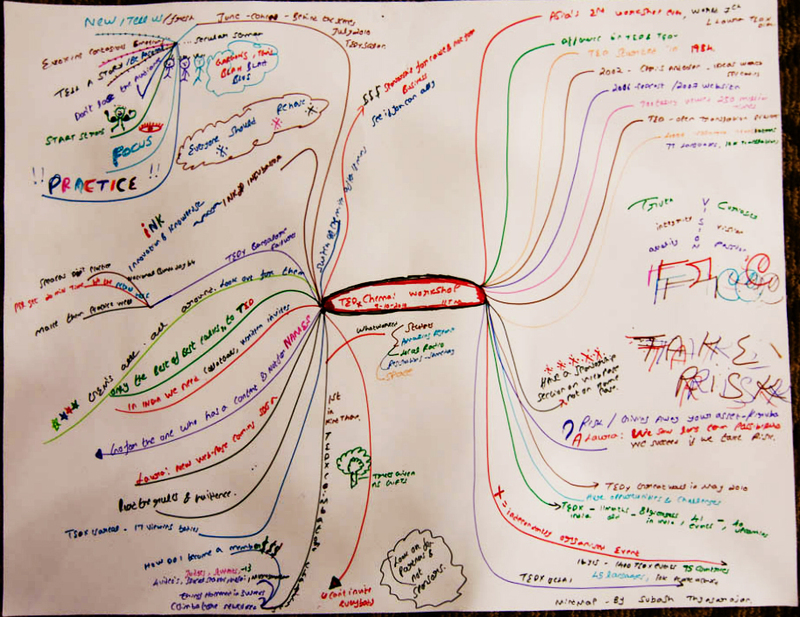 Yes, this is the mind map of the workshop today. Was beautifully designed by by Subash Thyagarajan, one of the TedxChennai Organizers. He can be reached at mailsubash at gmail dot com. “Microsoft filed an action today in the International Trade Commission and in the U.S. District Court for the Western District of Washington against Motorola, Inc. for infringement of nine Microsoft patents by Motorola’s Android-based smartphones. The patents at issue relate to a range of functionality embodied in Motorola’s Android smartphone devices that are essential to the smartphone user experience, including synchronizing email, calendars and contacts, scheduling meetings, and notifying applications of changes in signal strength and battery power. 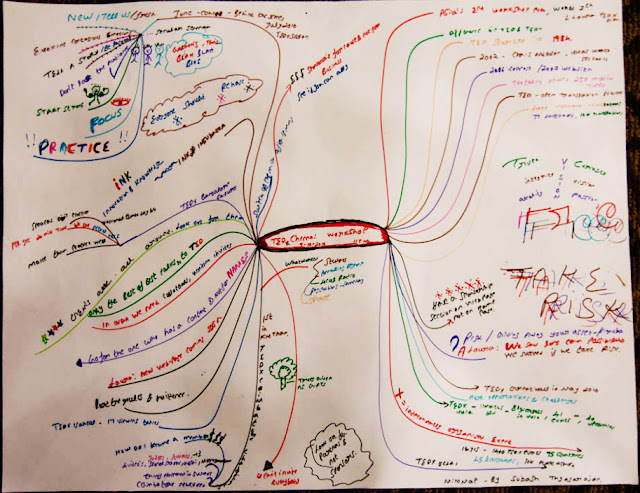 'Where Good Ideas Come From ???' - Steven Johnson !!! This TED video is by Steven Johnson, the best-selling author of six books on the intersection of science, technology and personal experience. His forthcoming book examines "Where Good Ideas Come From."